ROSELLE/ROSELLE PARK, NJ – It’s no secret that Union County is in the midst of an opioid crisis. 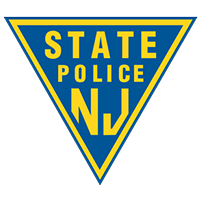 According to the latest data by the Union County Prosecutor’s Office, there have been 267 overdoses and 79 overdose fatalities in Union County. These high numbers of overdoses and fatalities are why establishing Narcan training’s to Roselle and Roselle Park residents and all of Union County is so important, says representatives from Prevention Links and Rutgers-Robert Wood Johnson Medical School. 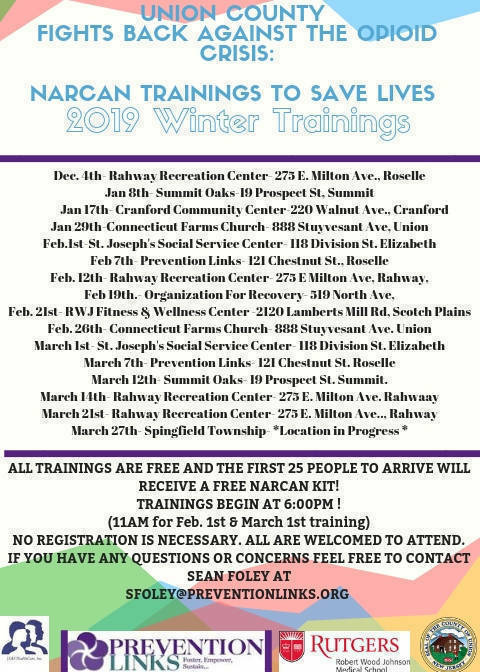 Two free Narcan training sessions will be held on Feb 7, and March 7, at Prevention Links – located at 121 Chestnut St., Roselle. The first 25 People to arrive will receive a free Narcan Kit. The effectiveness of providing Narcan training and distribution of Narcan kits is shown evident by research published in August of 2018, by the Journal of Public Health, which details how Narcan is the most significant intervention to reduce fatalities from opioid abuse. * Simply put, being trained and having access to Narcan will save the lives of many. This is why these two organizations say it is so important to provide training sessions throughout Union County for everyone. Narcan deployments and overdose fatalities substantially increase during the winter seasons. while it is not known why these events occur, data from the Union County Prosecutor’s Office shows a correlation between overdoses and the winter season. Due to these events, the Union County Opioid Task Force and Prevention Links have decided to come up with a strategy to reduce the fatalities caused by the opioid epidemic in Union County, which is to provide free Narcan kits & training sessions to many community members in Union County for the winter months of 2019. This approach can help save the lives of loved ones, friends, neighbors, and community members. March 12 – Summit Oaks- 19 Prospect St. Summit. No registration is necessary. If you have any questions or concerns contact Sean Foley at sfoley@preventionlinks.org. 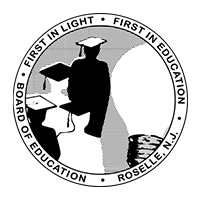 Source: TAPintoRoselle.net is Roselle’s official electronic news source! 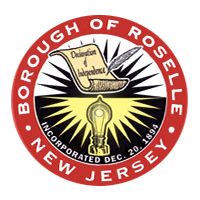 To get your free daily Roselle or Roselle Park news, click on your town. © Roselle Everett Hatcher All Rights Reserved. Developed by AlphaDog Solutions.